Melissa returned to Aspyre Wealth Partners in June 2013 as a Financial Planning Associate. She is responsible for providing support to the financial planners and wealth management team at Aspyre. This includes working with clients to complete financial analyses and scenarios, preparing material for client meetings and coordinating with clients to complete actions to help them achieve their goals. Melissa joined Aspyre in 2005 and worked with clients in a similar role for three years before taking a brief endeavor into a high school business teaching career. Her main focus was teaching financial literacy and establishing a personal finance curriculum as a required course. She then returned to Aspyre to assist clients to “Master What’s Next®”. 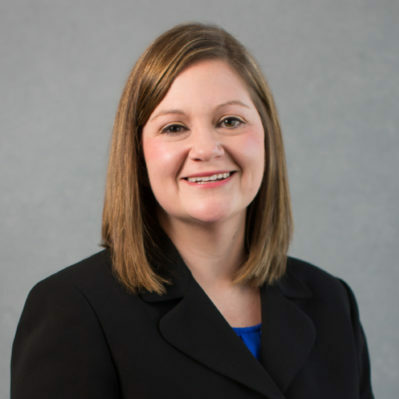 Melissa holds a Bachelor’s Degree in Family Studies and Human services from Kansas State University with a specialization in Personal Financial Planning and a minor in Business Administration. She is an active member in the Financial Planning Association.